Subtle detail in the Born Madeleine take this flat to the next level. It’s crafted from supple full grain leather and has beautiful woven detail. 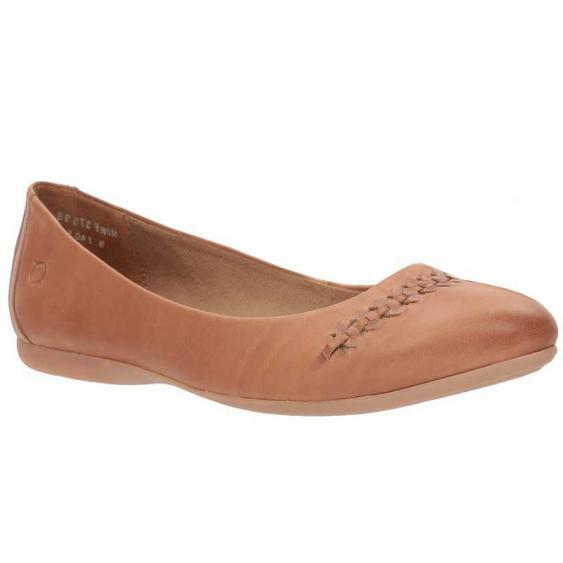 The soft leather linings are comfortable straight out of the box and the leather covered footbed features built in arch support to keep you going all day long. Born’s Opanka hand crafted construction ensures durability and a rubber outsole provides the traction you need for a confident step. It’s time to trade in the old flats for the updated Born Madeleine. These shoes are fantastic!! The footbed has a good amount of cushion so it doesnâ€™t feel like your walking on the hard ground. The leather quality and details are beautiful and this color is like caramel- it will go with so much! I sized up a half size and they are a little loose but it doesnâ€™t bother me. My true size was too small so I had to go up. I canâ€™t really say they were TTS for me.